 Harvey Mudd College’s mission statement is as relevant to us today as it was when we were founded some 60 years ago. The corollary to this from our founders is “Technology divorced from humanity is worse than no technology at all.” We take these words seriously, and they guide all that we do at Harvey Mudd. We take the actions that accompany these words just as seriously. In recent days, questions have been raised about how colleges and universities will react if students who have applied or been admitted to the college are disciplined by their schools for protesting in response to last week’s tragic shooting at Marjorie Stoneman Douglas High School. We assure you that any disciplinary action taken by a school in response to students’ walking out of class or protesting in response to gun violence will not be held against you in our admission process. As is our normal practice, we would expect that students will let us know if they face disciplinary action, but on its own, this action will not adversely affect an admission decision. In closing, our first president, Joseph Platt, helped shape our curriculum with an emphasis on “science with a conscience.” We remain one of a small number of colleges and universities in the United States to have a student-run honor code that asks our students to hold themselves and others to a high standard of integrity. In short, we challenge our community members to reflect on their responsibility as engaged members of our community and of society. It’s part of Harvey Mudd College’s DNA—there since our founding—and it’s part of what we hope to instill in each of our graduates.